Summer is in full swing, and that means vacation time! Whether you’re working on your trip itinerary or packing your overnighter, don’t forget to check off the most important thing on your vacay to-do list: looking your best. Lusiana is getting ready for an upcoming trip to Mexico with her family. What’s the product she’s sure to pack? 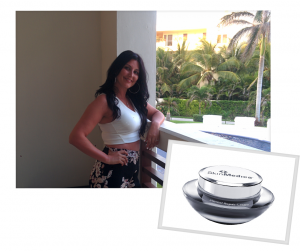 Pro-Derm: Mineral Loose Powder Light. 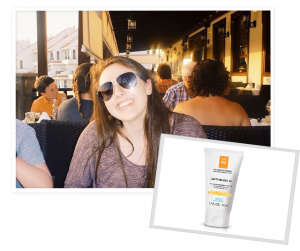 It has a SPF of 50, is super light, and is easy to use. Plus, she can use it on her adorable 4-year-old son, Marcus! 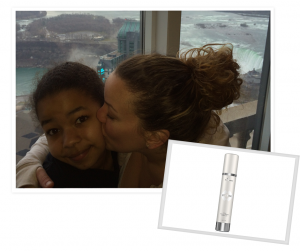 How cute is Melissa with her daughter on a recent trip to Niagara Falls? You’ll rarely catch them apart, and you’ll never catch Melissa without her SkinMedica® Lytera Skin Brightening Complex – even if it’s just an overnight getaway. It brightens dull skin and minimizes the appearance of discoloration and dark spots. Plus, it’s TSA friendly. Another fan of SkinMedica skin care products, Sandy loves the Dermal Repair Cream. This ultra-rich moisturizer helps prevent moisture loss and improves skin smoothness – it’s great for re-hydrating after a flight or long days spent in the sun. Have you met Melanie, our summer student? She’s already learned a thing or 2 about skin care products, especially the importance of applying (and reapplying) sunscreen. 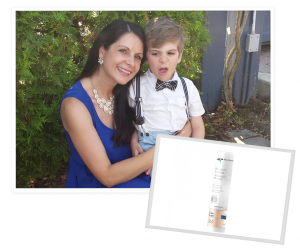 She loves the light feel of La Roche-Posay® Anthelios 60 Ultra-Light Sunscreen – we think you will too. For more information on the products we offer (and love), click over to our Skin Care Products or ask us for more recommendations the next time you’re in the office. In the meantime, be sure to enter to win our Grand Prize: A $500 gift certificate for the products or non-surgical treatments of your choice. Plus, we’re giving 1 lucky runner up a $150 gift certificate. Warning: you might need to find a bigger bag to fit all of these skin care goodies!